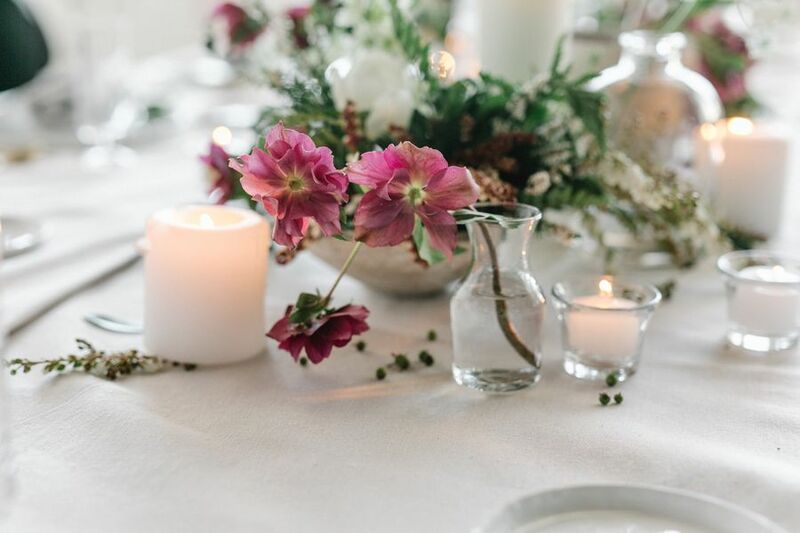 While the Christmas season is practically around the corner and we love all things holly and jolly and traditionally red and green, this dream scene from 4 Corners Photography's workshop is such a refreshing take for all of you upcoming 2018 winter brides. 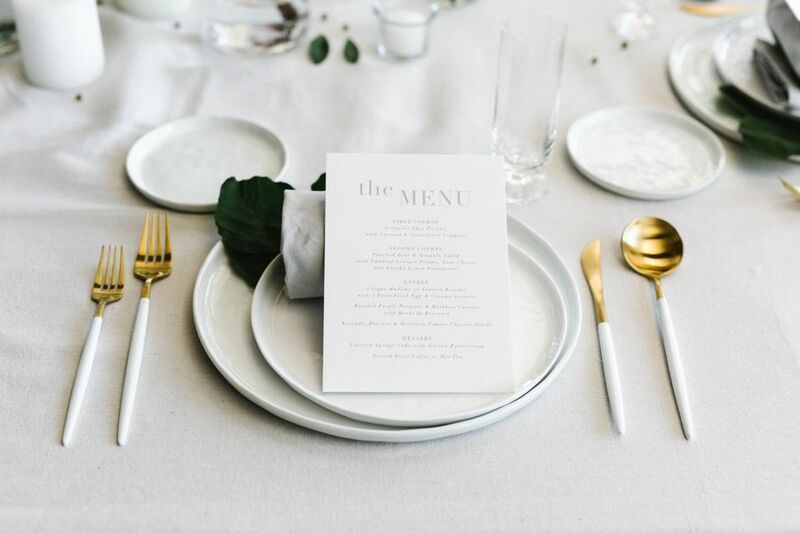 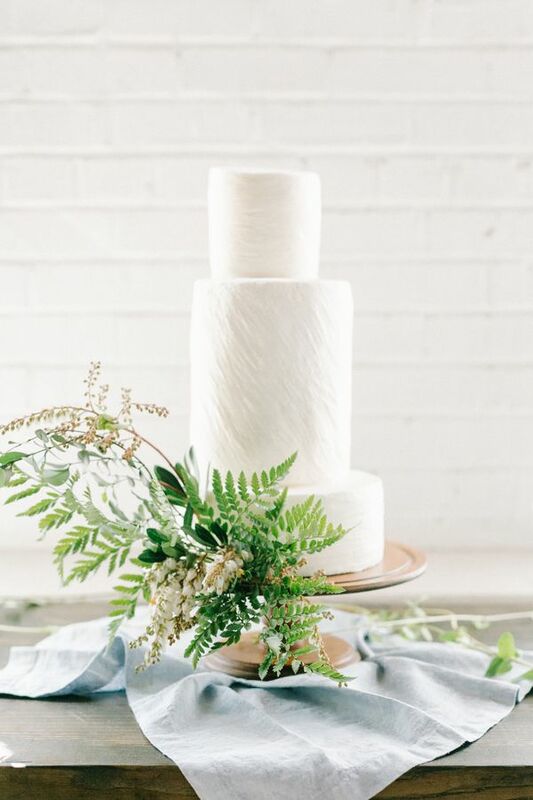 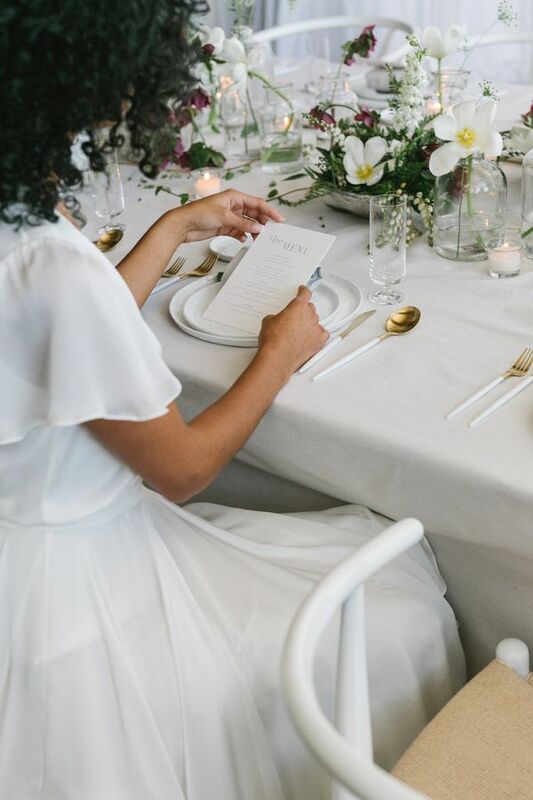 Take note of all of the modern details shot by Kandi Daniel Studios, like the snaking greenery backdrop by Gold and Bloom and the equally epic, foliage-centric centerpieces on the very chic table donning an all-white color palette. 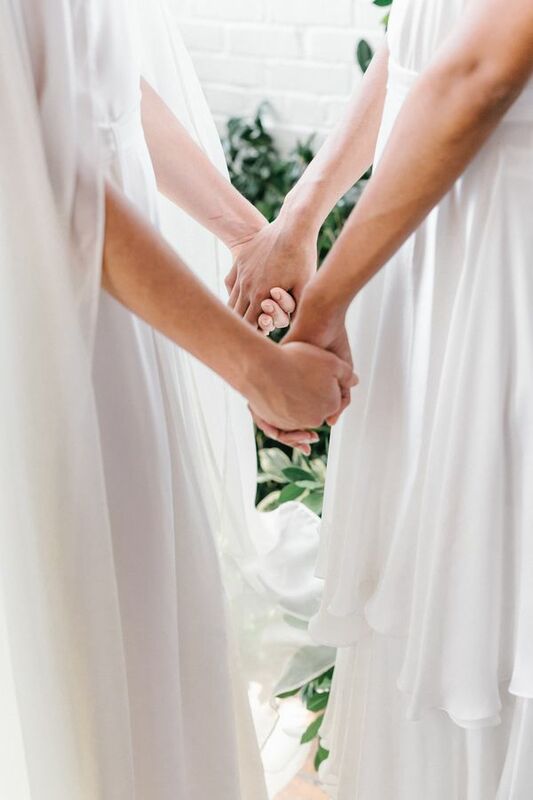 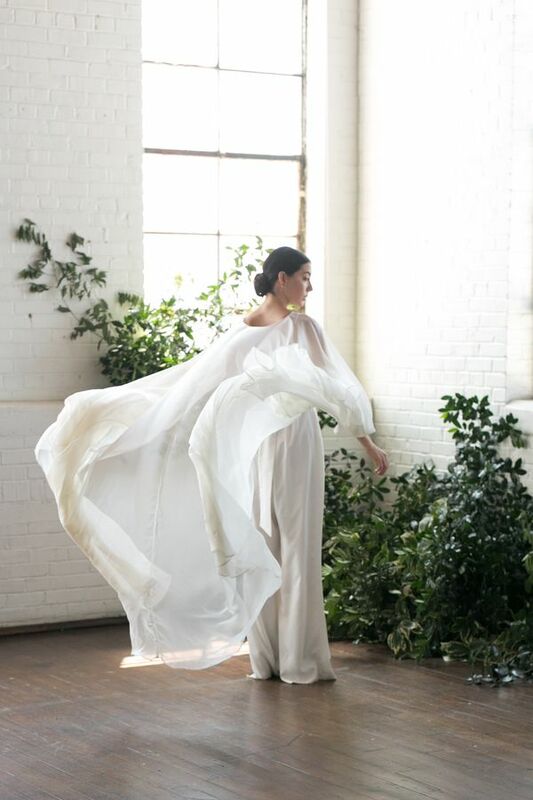 And of course, we must touch on the brides' wedding dress and wedding jumpsuit! 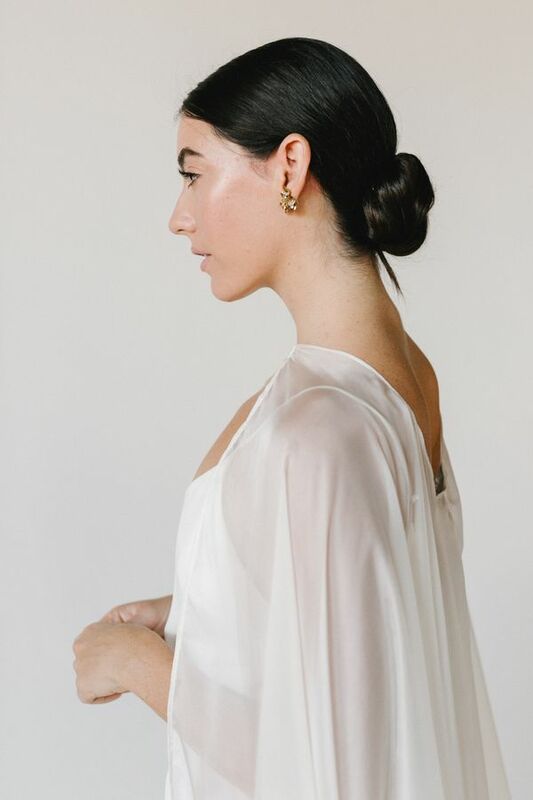 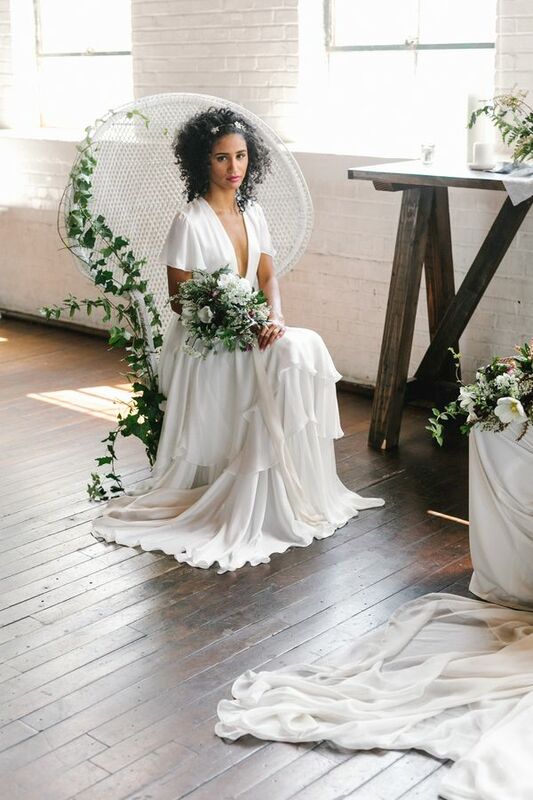 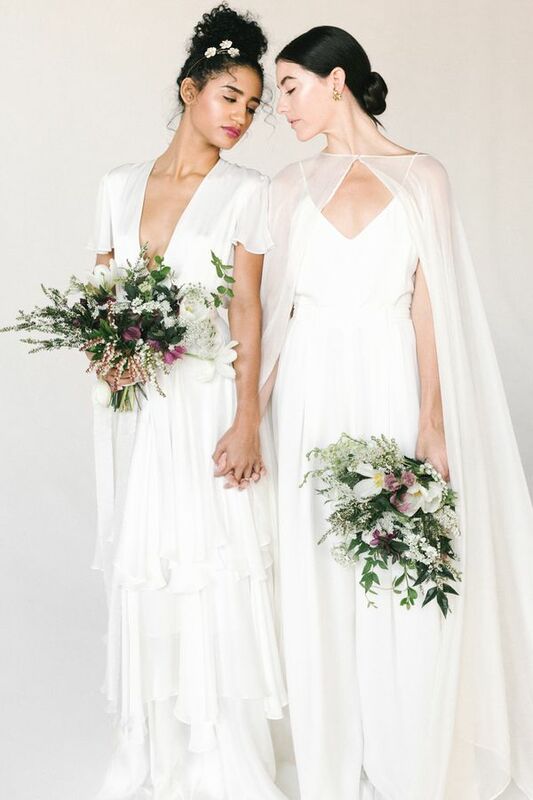 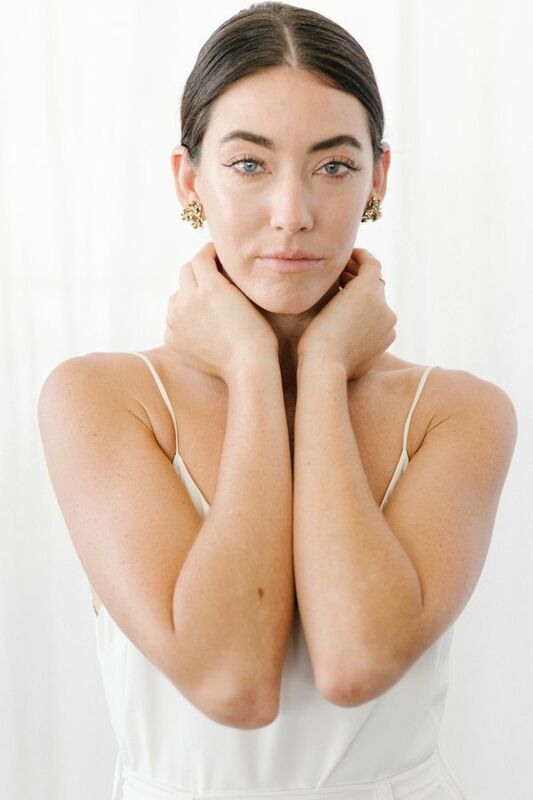 Swoon-worthy to the max and we adore how flowy and feminine the designs are; a great blend of contemporary wedding fashion and sleek romance. 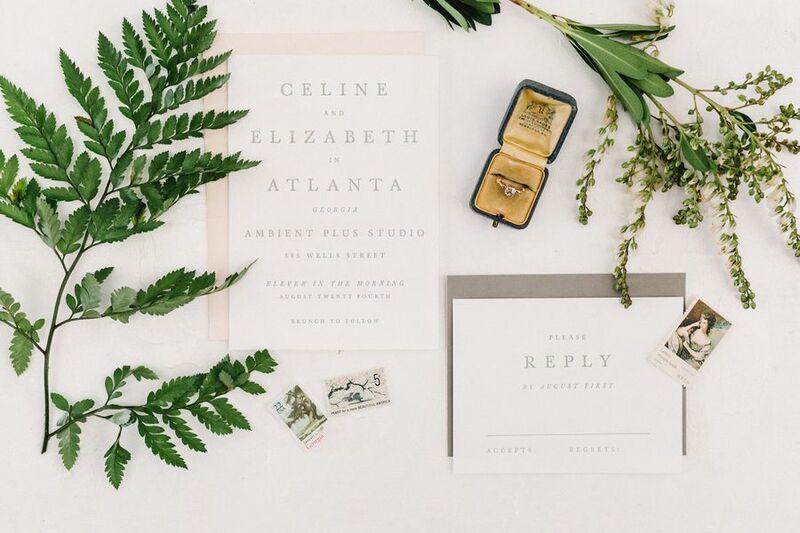 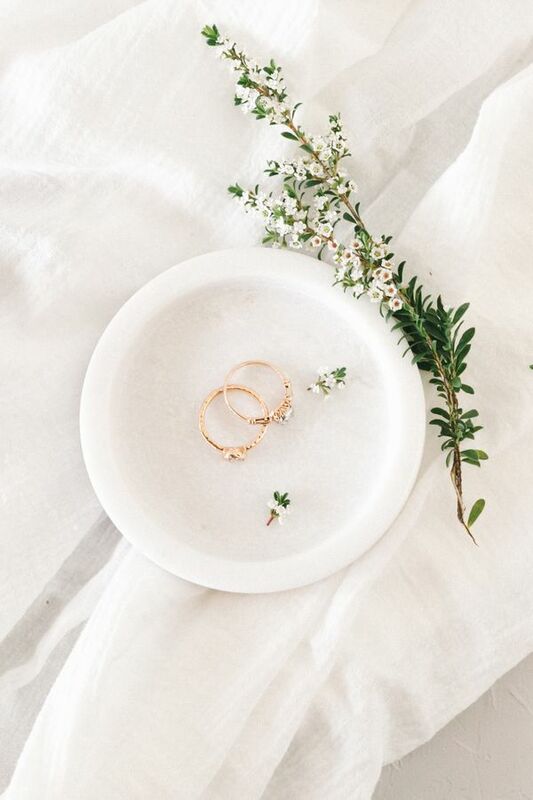 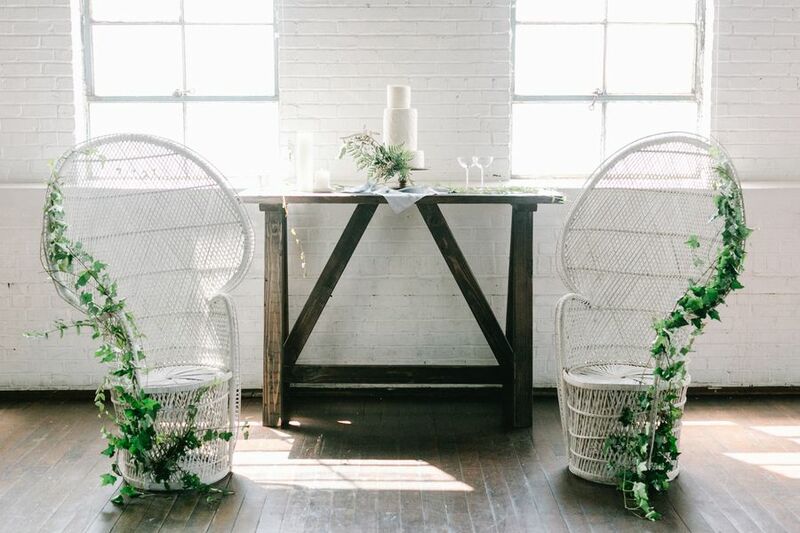 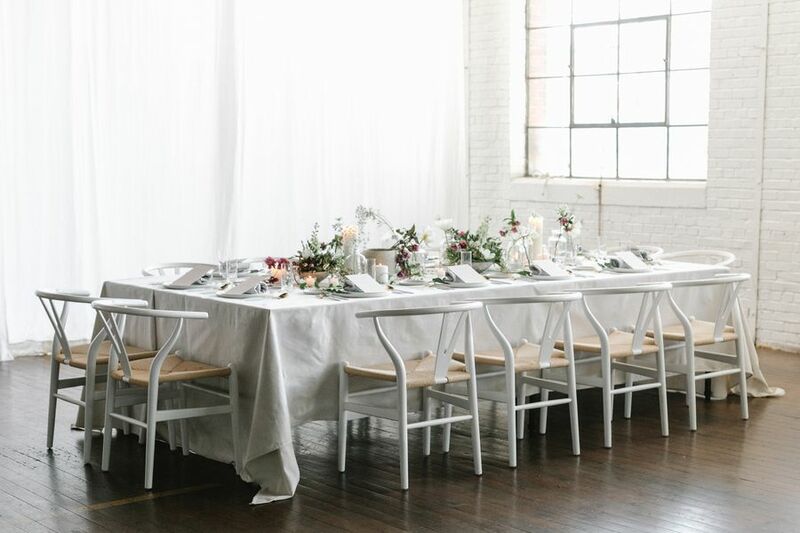 Planned and beautifully done by Simply Charming Socials, be sure to catch this inspo all over our Pinterest account. 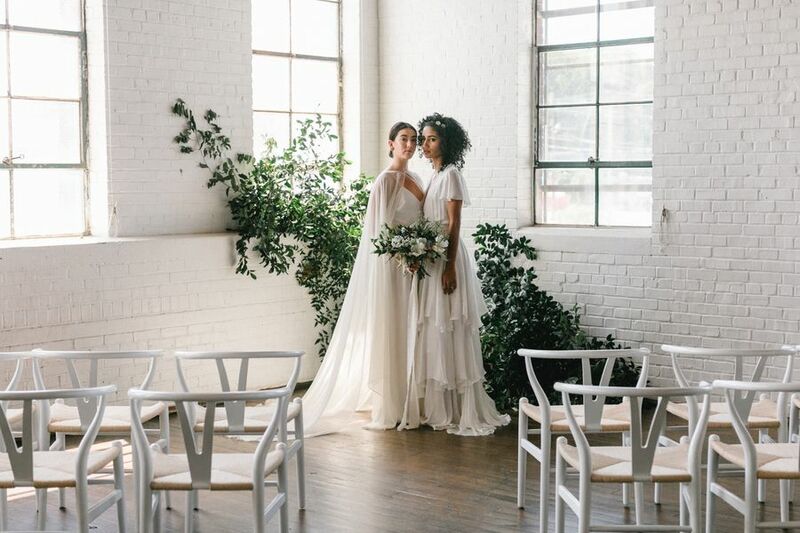 From the photographer, "Love is love and this botanic inspired shoot showcases it beautifully." 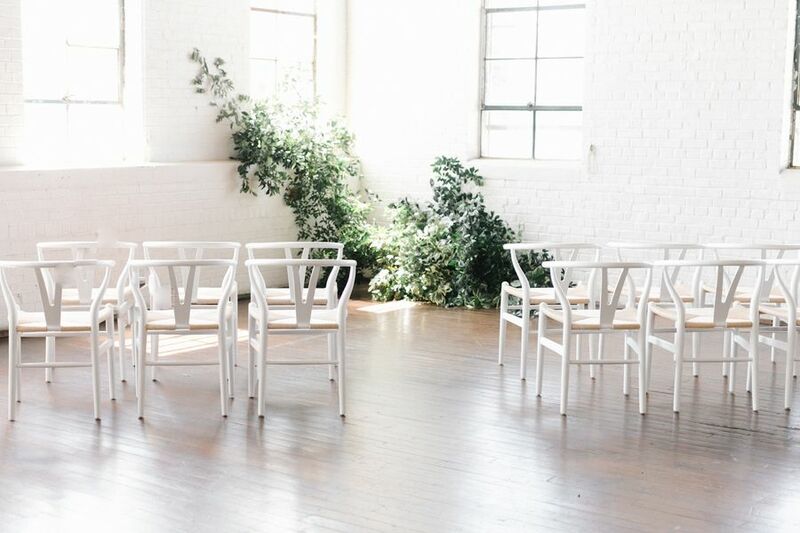 "The urban space of Ambient Plus Studio with its tall brick white walls and scratched up wooden floors was the perfect location." 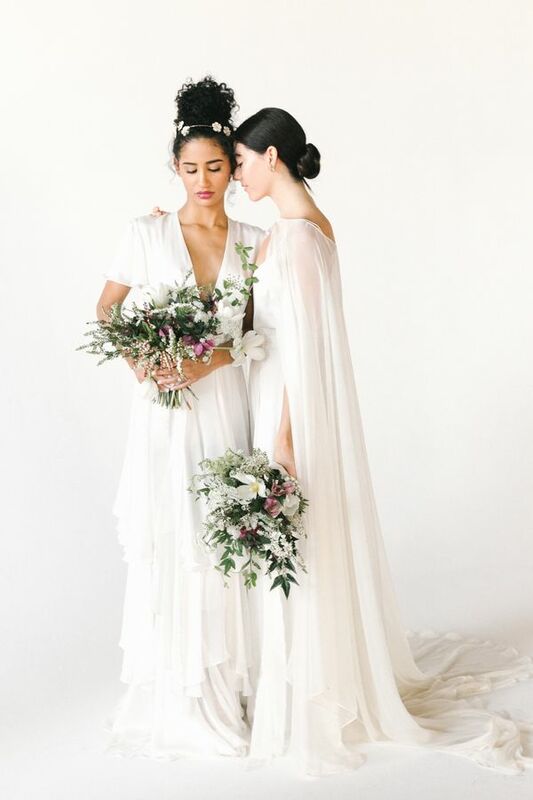 "The vision came to life beautifully with the help of the amazing floral design of Gold and Bloom and her climbing greenery backdrop. 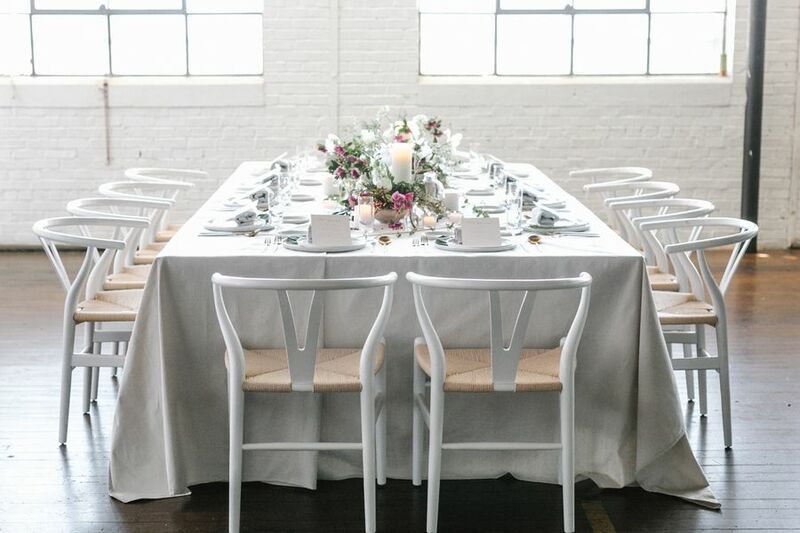 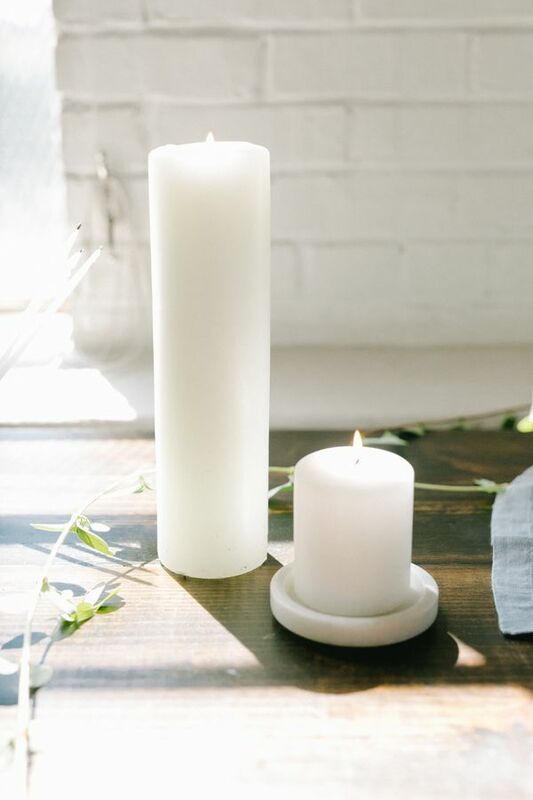 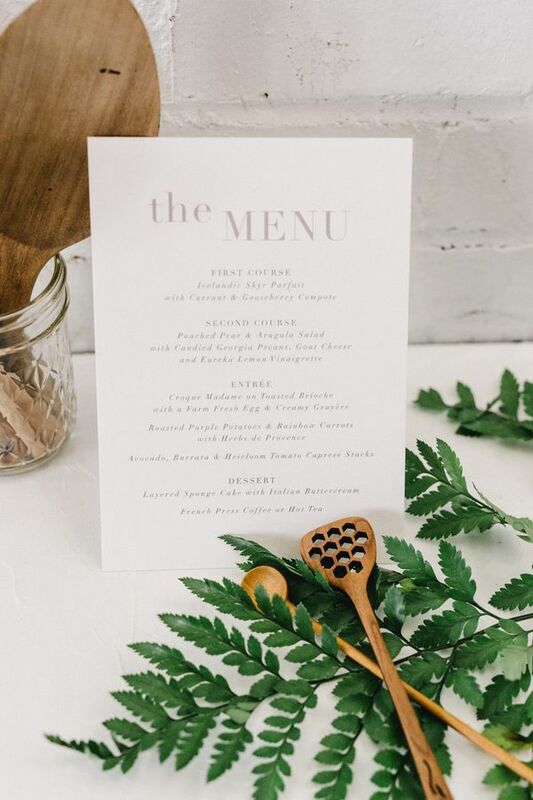 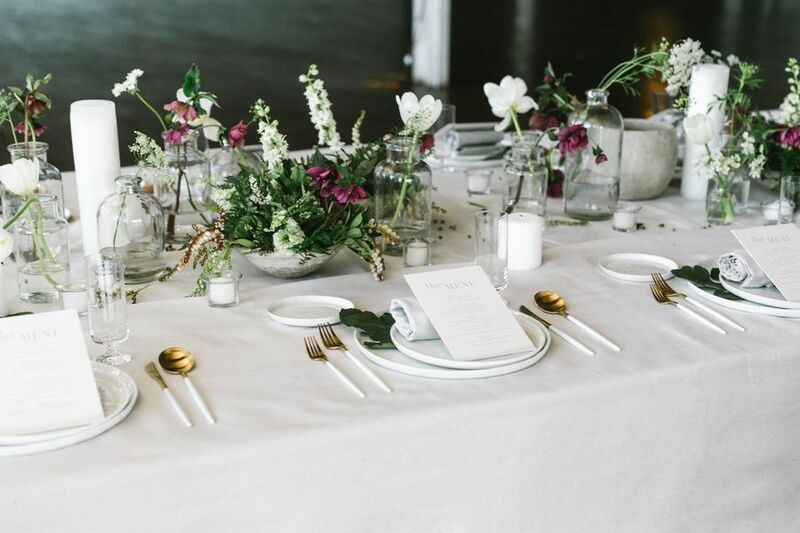 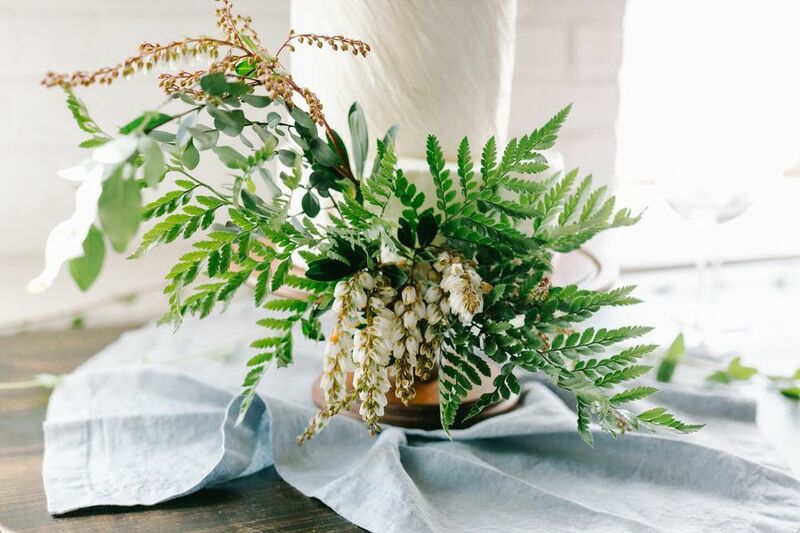 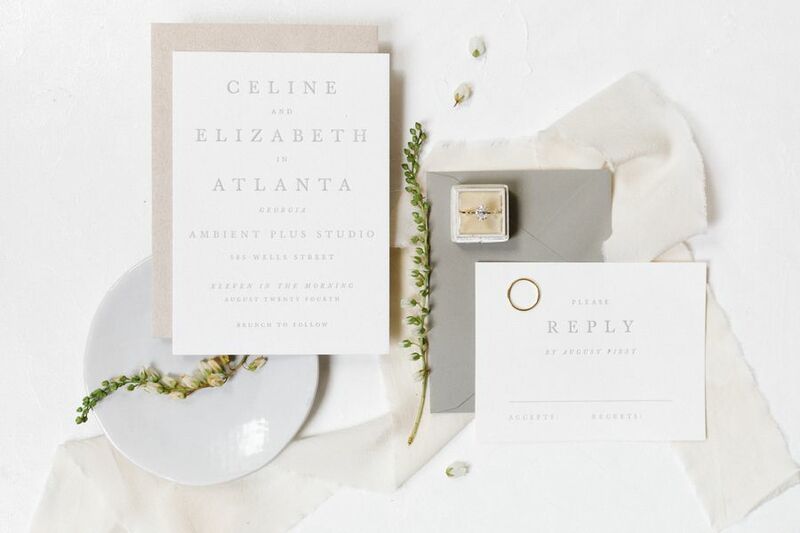 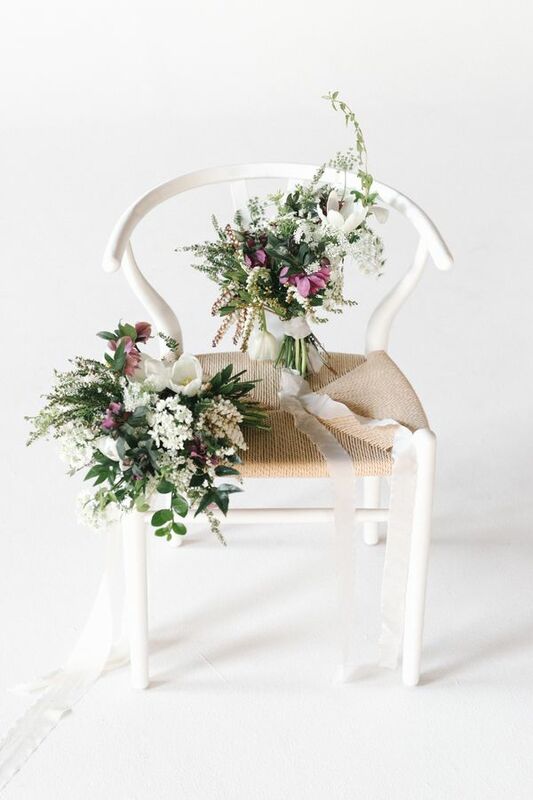 Every perfect detail was thought out and executed by Kristine of Simply Charming Socials." 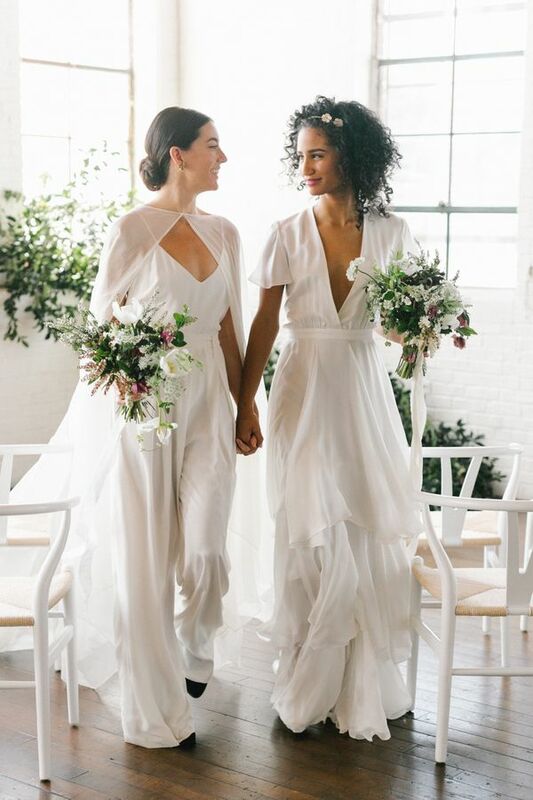 "I must say the highlight for me was the movement in the dresses, as a photographer I love capturing this as it just gives so much feeling to an image." 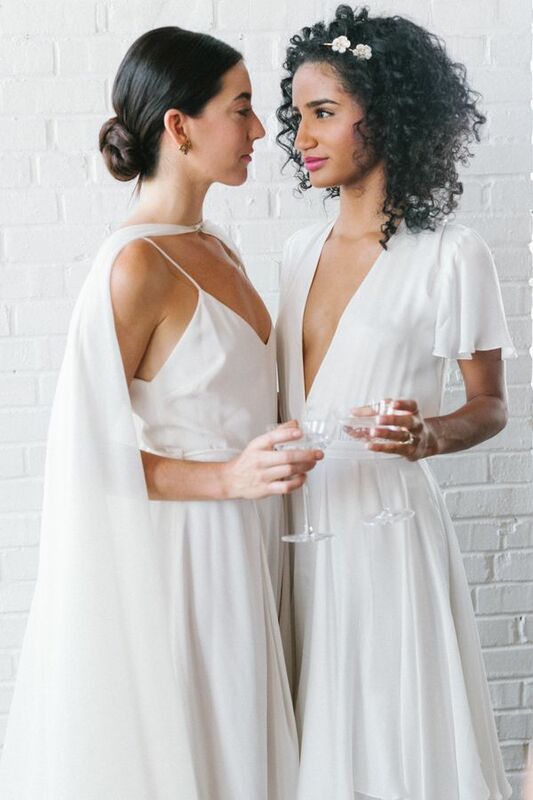 No Comment to " Stylish Wedding Inspiration in Bright Whites "